Maisti Digital delivers real time graphics, customized user interfaces, and data visualization for live events, television and for your specific needs. We offer tailored content, playout systems, social media solutions and tools to ease real time workflows and content management. With support and training. Our young minded team has years of experience delivering solid solutions for demanding user environments. Among others we have worked with social TV, video screens and special solutions for studio productions. Our operations lean on solid technical knowledge in IT and media technics. We are independent and reliable partner. We fit seamlessly to your team and our goal is to be part of creating a stress free production. Our office, laboratory and development environments are located in Lahti, Finland. We deliver internationally. 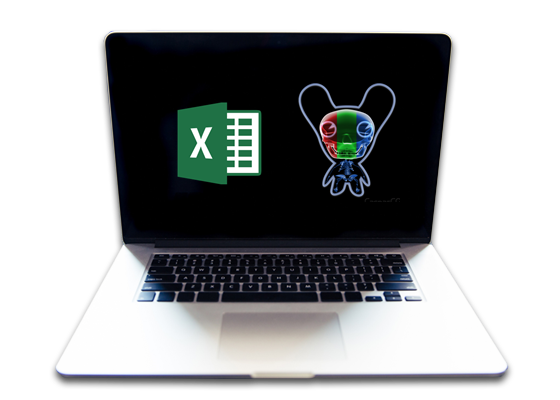 Maisti Excel Control is an easy-to-use Microsoft Excel extension for controlling CasparCG video and graphics playout server. With Maisti Excel Control you get all the benefits of MS Excel and you can connect data across a wide variety of sources. Distributed user interface enables you to scale your system and manage content with multiple users. These combined with fast to use interface Maisti Excel Control is powerful tool for you to work in the most demanding broadcasts. Interested? Contact us with the form below and we'll be in touch.